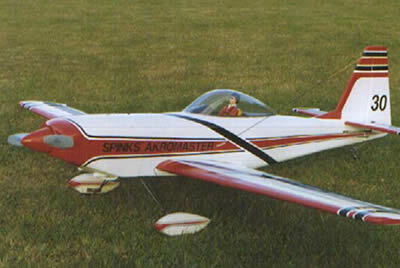 This is a nice rendition of this modern aerobatic sport plane. The fuselage and fin/rudder are balsa and ply while the wing and stabilizer/elevator are foam for easier construction. The engine shown is a K&B .40 and the suggested weight is 5 ½ pounds.